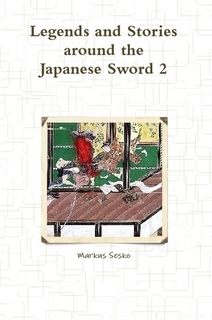 This is now the second volume of my book „Legends and Stories around the Japanese Sword“. Once more I try to bring the reader closer to the Japanese sword and dig deeper into the matter by the means of legends, stories and anecdotes about famous swords and their swordsmiths. Like in the first volume, I introduce several famous meito or meibutsu, for example the Kogarasu-maru, Yoshimoto-Samonji, Takemata-Kanemitsu, Kuronbogiri-Kagehide, Tsurumaru-Kuninaga and many more. And the stories deal among other things with the greatest swordsmiths in Japanese history like Masamune, Muramasa, Samonji, Kiyomaro and Kotetsu, to name only a few.